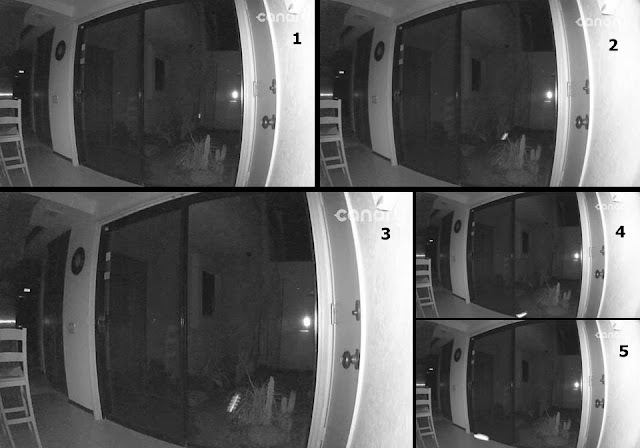 This event was captured on a home security camera on March 11, 2017 at 2:20 am in Palm Springs California. It started outdoors inside an 8 foot walled courtyard. Then the being flew through a closed sliding glass door without breaking the glass. 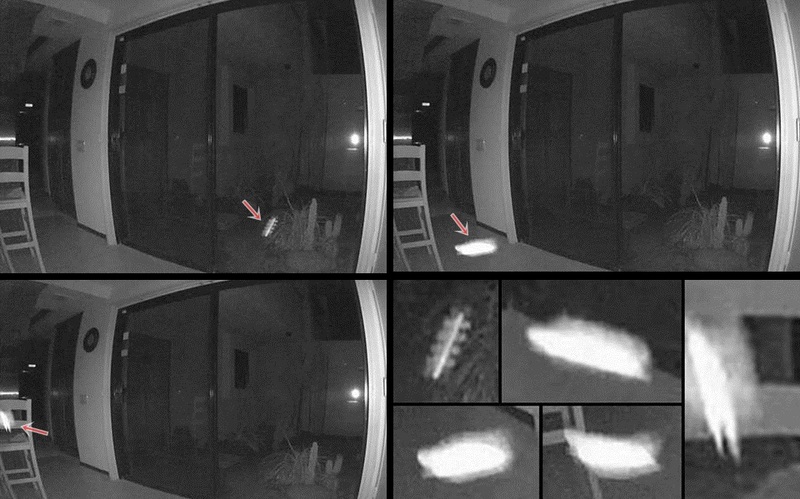 Then it circled around the indoor kitchen before flying out of sight of the camera view range. It moves extremely fast and appears to flutter and could have wings. Cam owner:"I am attaching the Canary camera video clip." Mufon case 82611.